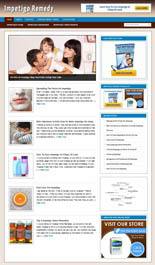 Impetigo Niche Blogs are beautifully made and optimized to do one thing…earn you loads of cash in high paying niches! Each blog is designed around carefully chosen, high paying, HOT NICHES! You could have a big money making blog up in minutes!